Esta épica aventura africana involucra a toda la manada. & celebra una fe feroza que los alimenta a través de esta vida salvaje. El tema de este año es “ROAR: La vida es salvaje ♦ Dios es bueno." & celebrate a ferocious faith that powers them through this wild life. 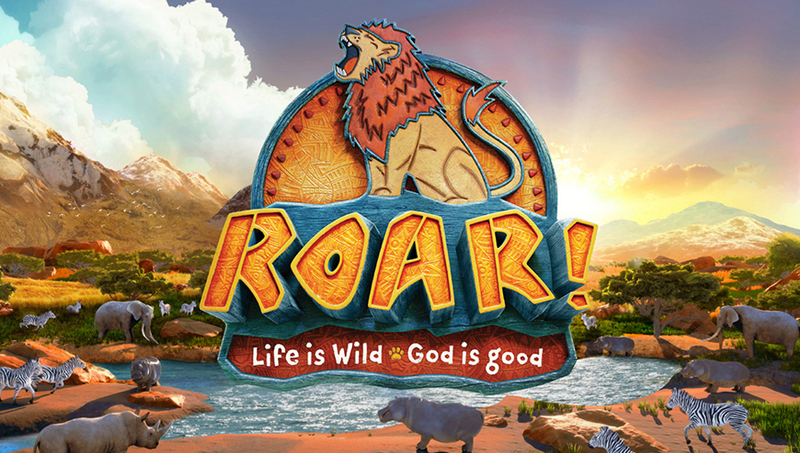 This years theme is "ROAR: Life is wild ♦ God is good." *Note: Please make sure to press the SUBMIT button at the bottom of this page. Shirt Size (in Youth Sizes) REQUIRED (S) Small (M) Medium (L) Large (XL) Xtra-Large (S) Adult (M) Adult Please fill out this field. Age/ Edad REQUIRED Please fill out this field. Please enter valid data. Any Allergies? Please list. Please enter valid data. Age/ Edad Please enter valid data. Please note your Child(ren) is not fully registered until your payment is received. Once your child(ren) has / have been registered, you will receive a confirmation call or email. Please contact the Religious Education Office if you have any questions. Payment Option REQUIRED I will mail my payment to Parish Office. I will make my payment on the first day of VBS. Please fill out this field.